Procellâ¢ Microneedling (microchanneling) & Stem Cell Therapy was developed in America, by a Licensed Aesthetician and a Board Certified Dermatologist. While chemical peels, IPL & laser treatments have their place in aesthetic skin care, they all produce improvement by injuring the skin to cause a healing response for rejuvenation. Procell is unique in that it stimulates improvement by the stimulated release of epidermal growth factors with virtually no damage to the skin. The treatment produces a clinically significant increase in the production of new collagen and elastin through the release of these powerful growth factors and cytokines. Procell produces maximum stimulation, with minimal inflammation. This balanced approach to skin rejuvenation reduces recovery time to near zero, while maximizing results! The typical recovery involves just a day or so of mild redness and swelling, and any evidence that youâve had something done can be covered with a quality mineral makeup within just 2 hours of treatment! Youâll experience an immediate improvement in skin tone, texture, laxity, fine lines and wrinkles. And youâll see long term improvement that really lasts when you complete a series of treatments as recommended by our skin care professionals. Procell can dramatically improve your skinâs firmness, smoothness, elasticity, hydration, sensitivity & tone. Visible improvement in aging skin, acne and other scarring, uneven or hyper-pigmented skin & overall tone and texture are real with Procell. And with our expertise, we can show you how to make those results last! The Livra Microchannel Delivery Solution used during treatment, and the Livra Post Care Cellular Renewal Serum & Healing Accelerator all contain hyaluronic acid and a proprietary Stem Cytokine profile and are designed to stimulate your bodyâs stem cells to improve cellular communication during the skin rejuvenation cascade that occurs in the weeks after treatment. Lumecca uses intense pulsed light (IPL) to selectively target and treat skin conditions through selective photothermolysis. Optimized for light and dark skin, Lumecca increases the potential for clinicians to treat a variety of skin types and conditions ranging from facial pigmentation, superficial vessels, skin texture and/or photo-damage. Lumecca can be combined with Fractora for a full face treatment regime. Skin laser treatments available in Grand Junction, Colorado. A new approach to treatment vascular and benign pigmented conditions. Now men and woman alike are making facial and leg veins a thing of the past. With the most advanced technology, the Excel V laser can safely and effectively treat a wide range of vascular and benign pigmented conditions on men and women of all skin tones. Excel V has been shown effective at treating a number of conditions, including rosacea, spider veins, leg veins, port wine stains, cherry angiomas and benign pigmented lesions such as sun spots. Excel V treats ilk and sever forms of these conditions. The system may also have a cosmetic benefit for patients who have skin lesions or scars from past injuries or surgeries. Skin laser treatments are now available in Grand Junction, Colorado. Now you can have more youthful appearance by treating conditions that are typically associated with aging and sun damage. The Genesis V procedure utilizes non-invasive laser technology to safely, naturally and effectively treat fine line wrinkles, diffuse redness and scars. You can expect to see consistent results after each treatment. Treatments can be performed in a relaxed, comfortable manner without the use of topical anesthetics or gel. Over the course of four to five treatments, Genesis V can help restore the skinâs youthful glow and appearance. The individual treatment results are subtle, but the overall effect of multiple treatments can be more dramatic. This effective and gentle process removes the unwanted dead skin cells that have built up layer after layer. 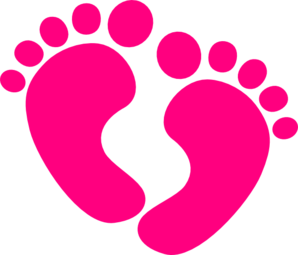 In addition, Baby Foot can improve other foot issues like: Foot Odor, Athlete's Foot and Blood Circulation. So say goodbye to rough, dry, cracked soles, by using a product that really works! Baby Foot is designed specifically to remove unwanted dead skin cells from your feet. It's effective, effortless and very simple to use. Livra Pro™ Microneedling & Stem Cell Therapy was developed in America, by a Licensed Aesthetician and a Board Certified Dermatologist. Livra Pro improves the appearance of aging skin, increases the vitality of your skin, and reduces the appearance of fine lines, wrinkles, uneven skin tone, acne & acne scarring. It also improves the clinical health of your skin by stimulating a rejuvenation cascade that your body has built in, just waiting to be activated! Livra Pro turns it on! Livra Pro creates invisible micro-perforations and stimulates cells called keratinocytes that activate the production of new collagen by stimulation, rather than damage. Livra Pro is unique in that it stimulates improvement by the stimulated release of epidermal growth factors with virtually no damage to the skin. Livra Pro produces maximum stimulation, with minimal inflammation. This balanced approach to skin rejuvenation reduces recovery time to near zero, while maximizing results! The typical recoveryinvolves just a day or so of mild redness and swelling, and any evidenve that you’ve had something done can be covered with a quality mineral makeup within just 2 hours of treatment! Livra Pro can dramatically improve your skin’s firmness, smoothness, elasticity, hydration, sensitivity & tone. Visible improvement in aging skin, acne and other scarring, uneven or hyper-pigmented skin & overall tone and texture are real with Livra Pro. And with our expertise, we can show you how to make those results last!